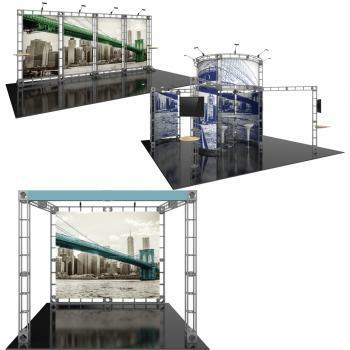 Orbus® Trade Show Displays | Orbus Shipping Cases | New World Case, Inc.
We design and work with Orbus® Displays for their exceptional quality and beautiful custom large scale printing capabilities, including Dye-Sub graphics on Tension-Fabrics. Many of the display products in the Orbus® Exhibit line offer warranties on hardware in addition to the ability to replace custom graphics for existing frames. Many business and professional spaces use Orbus Displays and Shipping Cases including colleges, universities, hospitals, event venues, corporate event spaces, rental halls, portable displays, traveling displays, military, aerospace, airports, hotels etc. 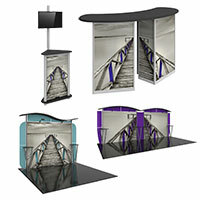 New World Case, Inc has been designing Custom Trade Show Displays and Custom Shipping Cases for over 30 years. 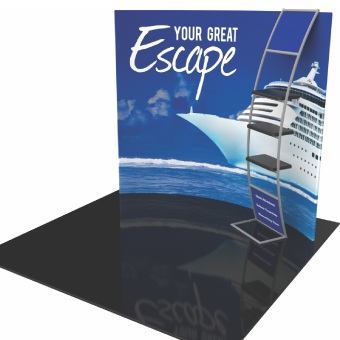 Our team can also help you design a custom exhibit, custom shipping or carry case or large scale custom printing project such as retail, indoor and outdoor event signage and more. 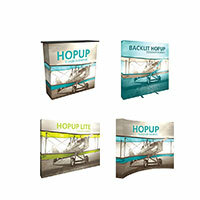 Hop Up expandable Tension Fabric Displays in all sizes and styles. 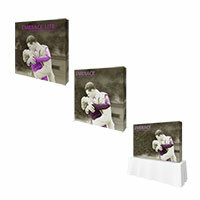 Vibrant Printed fabric graphics and Step and Repeat graphics, Soft standard carry bag included! 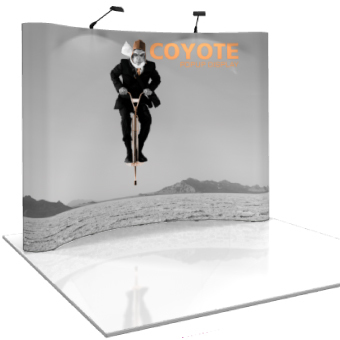 Embrace Push-Fit Tension Fabric Displays offer a seamless clean look and an easy set-up without tools! Choose from Floor standing and Table Top sizes. 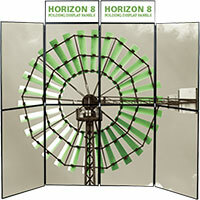 Orbus Horizon Folding Panel Displays are a convenient, Lightweight display solution that can be customized to your needs with printed graphics and many available color choices! 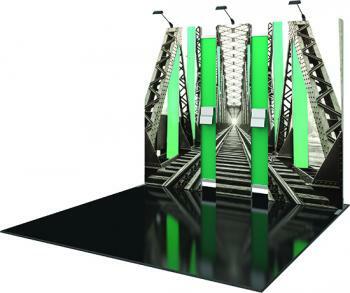 Trade Show Displays by New World Case, Inc.